Toronto Dogs Directory: You Won't Believe What This Local Dog Poop Removal Service Is Doing With All That Poop! You Won't Believe What This Local Dog Poop Removal Service Is Doing With All That Poop! TURNING DOG POOP INTO POWER?! Dog waste is more than just a stinky mess; it's a bio-hazardous waste that contaminates the surrounding soil, and eventually the water table, if not removed. Still, here at Poop-Patrol, it has haunted us for years that we couldn’t find a suitable alternative to dumping truckloads of dog poop into landfill. We did what we could by adopting the use of oxo-biodegradable bags and washing our tools with organic cleaning solutions. And, we just kept dreaming of a something better in our future. 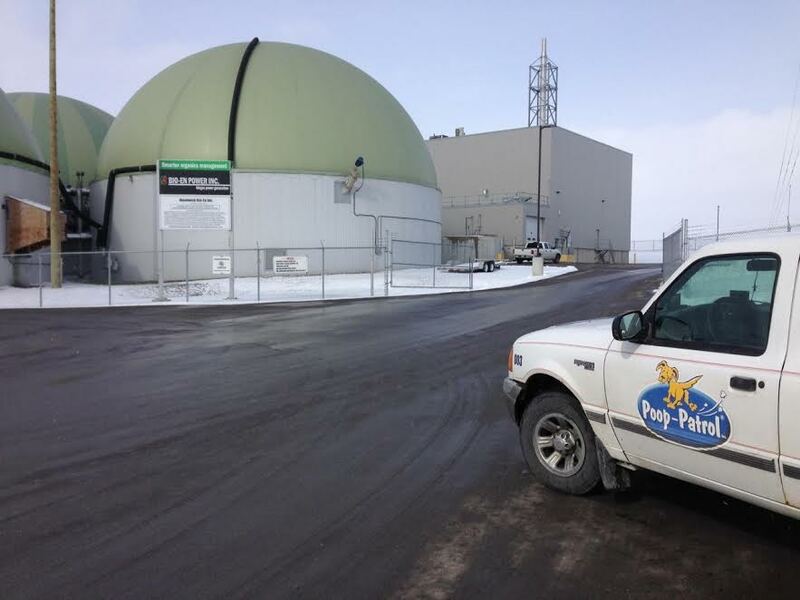 In early 2017, we were thrilled to discover the anaerobic digestion process at Cornerstone Renewables in Elmira, ON. Cornerstone currently processes approximately 200,000 tonnes per year of organic waste, which makes them capable of producing 173 Megawatts of electricity and 200 Megawatts of heat every day. Poop Patrol is contributing an average of 350KG of poop each week to that process, and we are gleeful in declaring we are now turning your dog’s poop into power! In our first month alone, we delivered 1.2 tonnes. That means providing enough fuel to power 2.4 homes for a year. Find out what else this poop can do by tuning into our sister webpage: www.pooppower.ca and watch weekly as our Sustainability Calculator totals grow. Working for a better planet since 1999, Poop-Patrol is your eco-friendly dog waste management team serving southern Ontario.